Clinically Studied, Free Radical Scavenger, Whole Body Health. Allergen Statements / Claims No milk, No eggs, No fish, No crustaceans, No tree nuts, No wheat, No peanuts, No soybeans. Footnote % Daily Value (DV) not established. Other Ingredients Maltodextrin, gelatin, magnesium stearate and silicon dioxide. Serving Directions Take one (1) capsule daily as a dietary supplement or as directed by your healthcare professional. Brand Intellectual Property (IP) Statement Information Health Thru Nutrition is a registered trademark of EPIC. 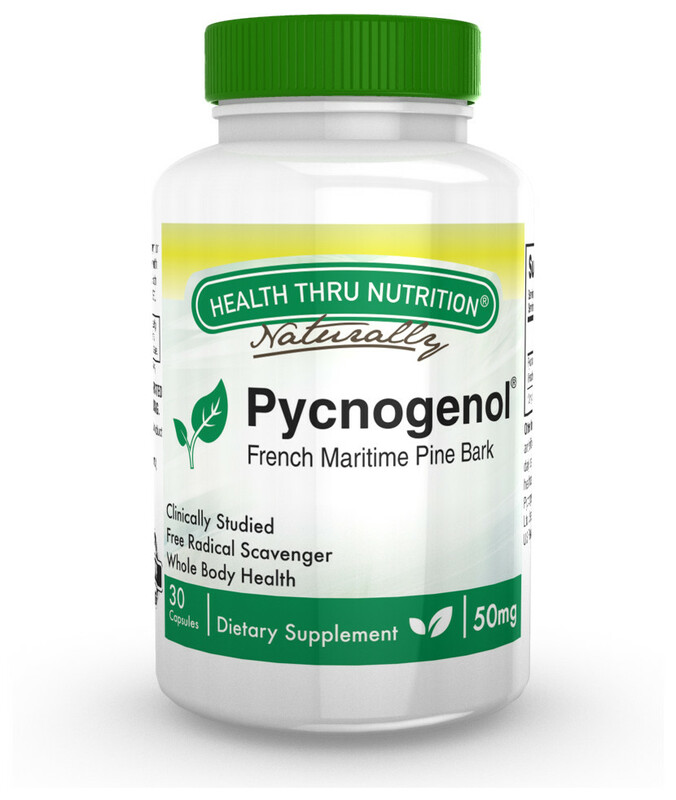 Pycnogenol is a registered trademark of Horphag Research Ltd.
FDA Disclaimer Statement *The information on this label has not been evaluated by the Food and Drug Administration. This product is not intended to diagnose, treat, cure or prevent and disease. Precautions Before using any dietart supplement, pregnant or lactating wone should consult with a physician or health professional. Do not use if imprinted safety seal under cap is broken or missing.